Variable speed with forward and backward motion. Adjustable braking device and lateral drum loading. Easy to use, manoeuvre, and maintain. Fast and efficient removal road markings, rust, and more. V safety grooving scabbling or planing of concrete surfaces. 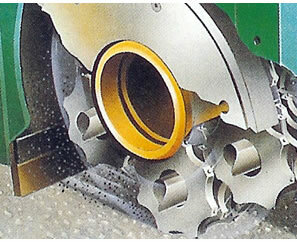 Cleaning and removing rubber, paint, oil, coatings and surface contaminents. 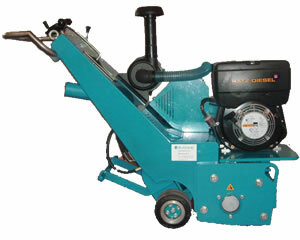 Application: The Rotomat-335GHY is the heavy duty answer for large scarifying and planing applications. It has double, micrometric adjustment of the working depth to eliminate risk of underground deterioration. Blastrac offers several different tools and options for all types of applications.